The seven pillars of our platform are interconnected, woven around the urgent need to work vigorously as a community to conquer poverty. 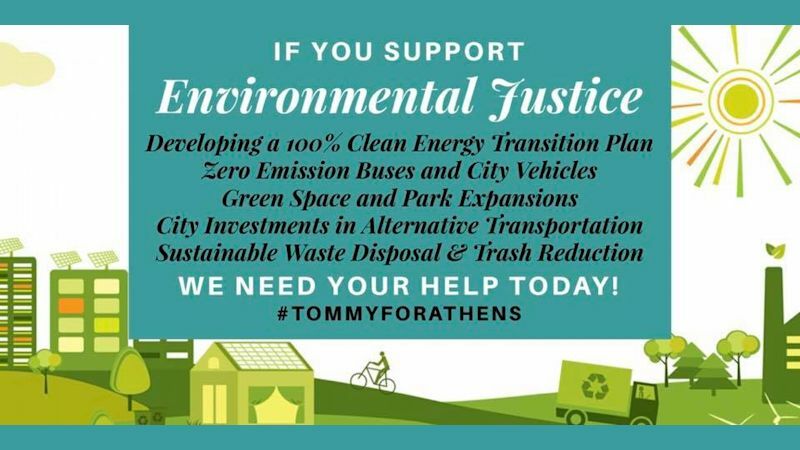 Doing that will take opening up educational opportunities & access to transportation for all — including those searching for jobs — employing working people at a living wage, supporting our police with additional training and removing barriers to success for non-violent marijuana offenders by deprioritizing arrests for possession. Athens is the poorest college town in America. We have a 4.5% unemployment rate and a 38% poverty rate. This means that our city is full of working families, but suffering from a stunning lack of sustainable wealth. 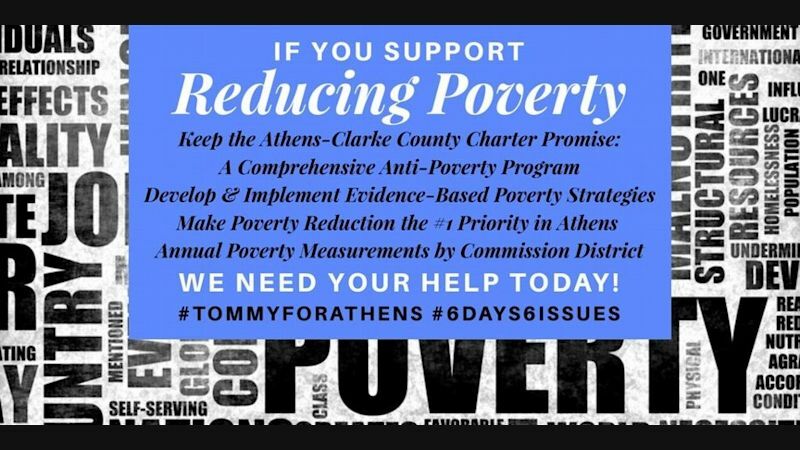 Our city’s charter promises a comprehensive anti-poverty program that has yet to be funded, or even created. In order to address the staggering poverty in our community, we need to implement broad, bold, and progressive policies. Athens must begin to reconcile past & present racial discrimination and begin to fight for and adopt policy to right these wrongs. 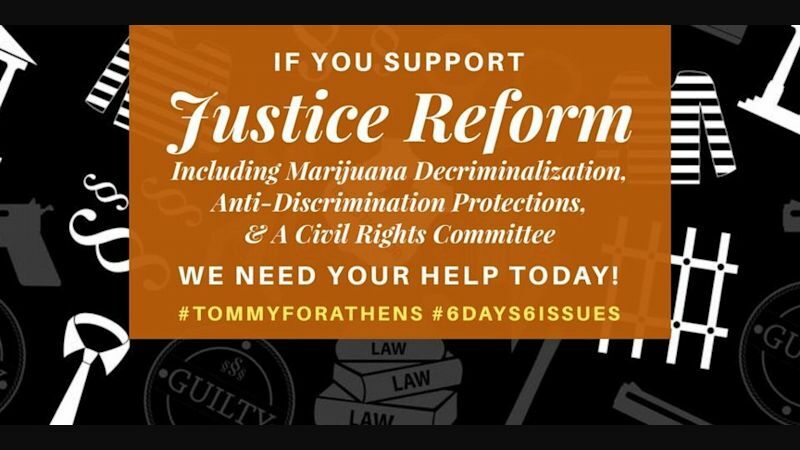 To this end, we must prioritize and decriminalize marijuana offenses. Marijuana arrests are expensive, unnecessary, and disproportionately ruin the lives of people of color. Secondly, we must create a permanent Civil Rights Committee that will provide protection and legal recourse to those that experience discrimination based on race, age, gender identity, sexual orientation, and immigration status. Transit is a vital public utility, social right, and human need. It should be accessible to all, from Bethel Homes to Pinewoods, from Hwy 29 to Pulaski. 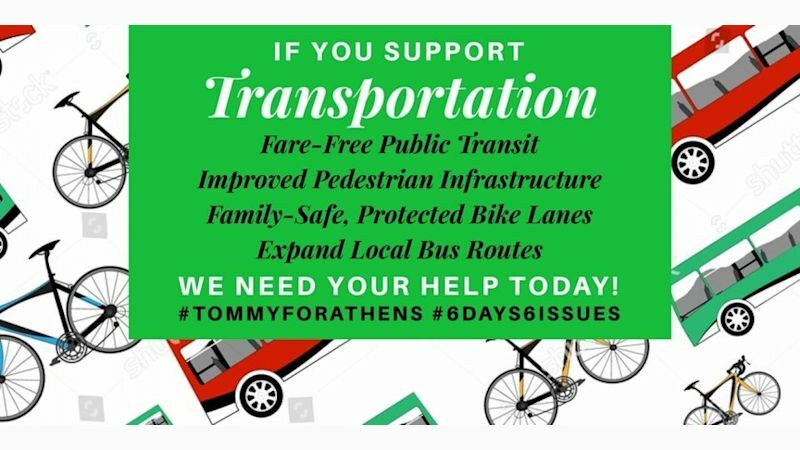 Fare-free bus service in Athens would ensure that need is met for all - including the poor - while also reducing traffic and emissions. Athens is the poorest college town in America. As the home to the first public university in the state and one of the top universities in the nation, that is unjustifiable. 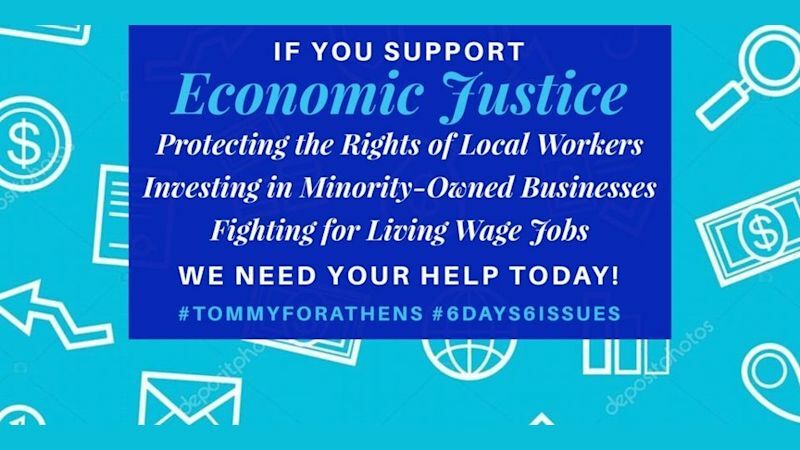 To improve this, companies that come to Athens should be required to pay a living wage and existing Athens businesses that pay a living wage must be recognized. 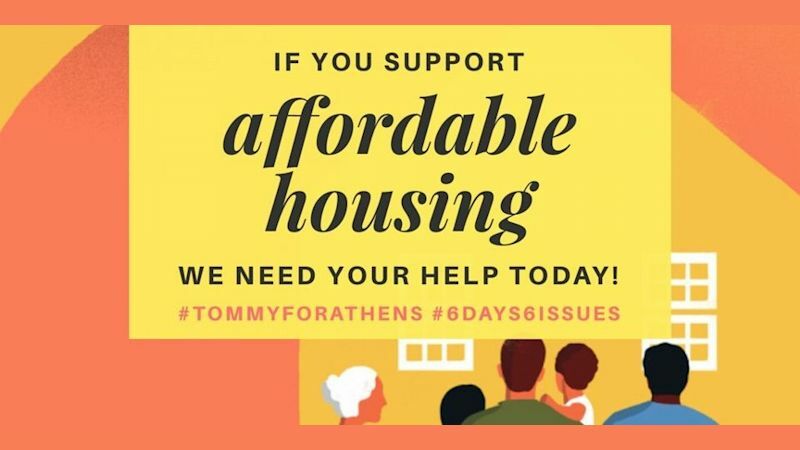 Affordable housing is impossible to come by in some of the busiest places in Athens. People who cannot afford high property values have been systematically pushed to the margins of the city, away from job opportunities, schools, businesses, and sight. We must develop, pass, and implement comprehensive affordable housing legislation that addresses the shortage of truly affordable units in our town. 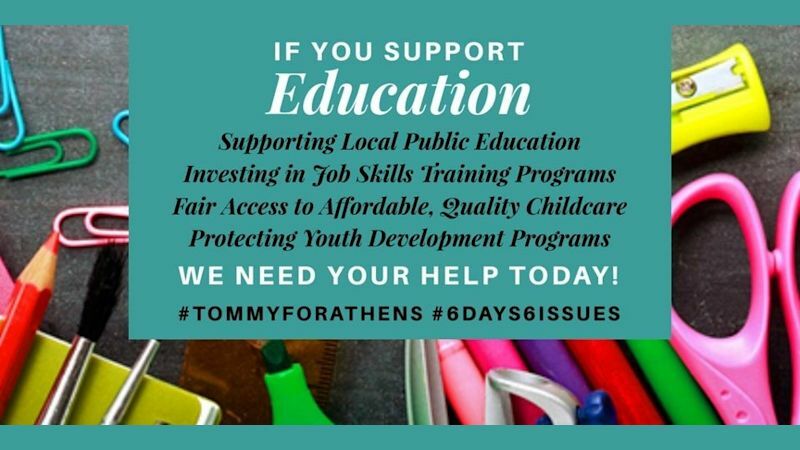 While the County Commission does not have purview over the Board of Education, they can fight for fair access to lifelong education opportunities. Continuing or finishing your education as an adult should not be a privilege, especially in a city where upward mobility is scarce. Families should also be provided access to quality and affordable childcare, a resource necessary for improved social mobility.